From cars to video games to tennis shoes, it looks like the design world has decided on its motto for 2018: make everything old new again. Functional tech meets classic lines. Ancient methods meet modern materials. Analog meets digital. Etc., etc. But it’s not often that a product comes along that blends forgotten practices with modish mechanics in a way that actually feels useful and refreshing. To that end: meet Documentary Design, and the Mapuguaquén. 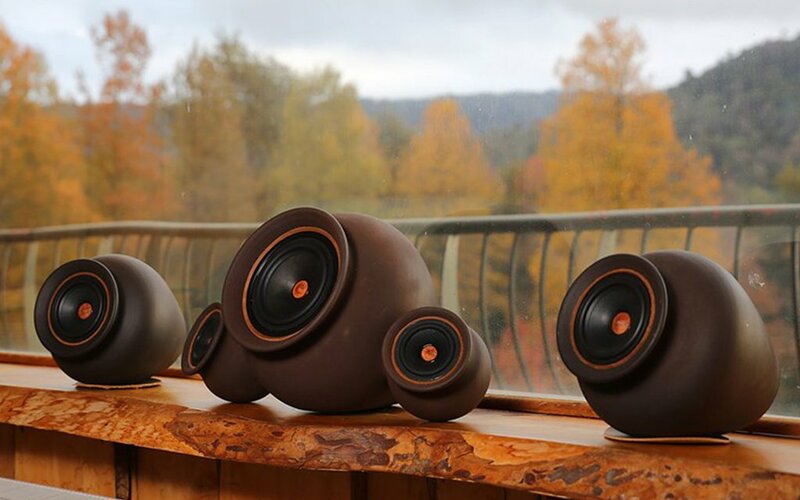 It’s a line of hand-thrown clay speakers crafted by potters in southern Chile and outfitted with a crisp Bluetooth speaker. 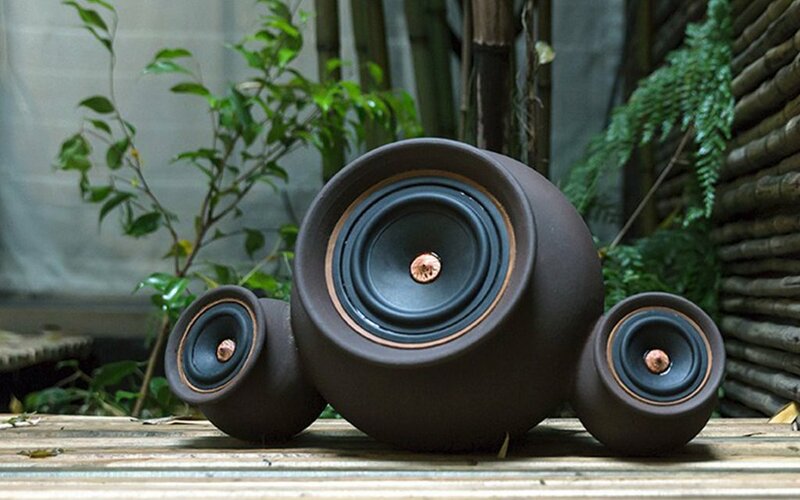 Each stereo utilizes wooden caps, wool and leather blended together in a vase shape. It’s a fantastic idea rendered masterfully, and not nearly as expensive as the above description sounds. 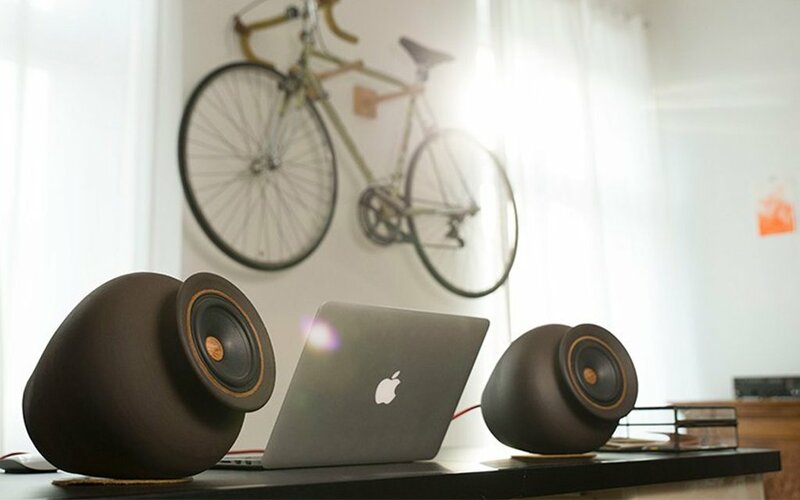 A pair of full-range speakers will run you $569. That’s right in line with Sonos products, but with a far better backstory. 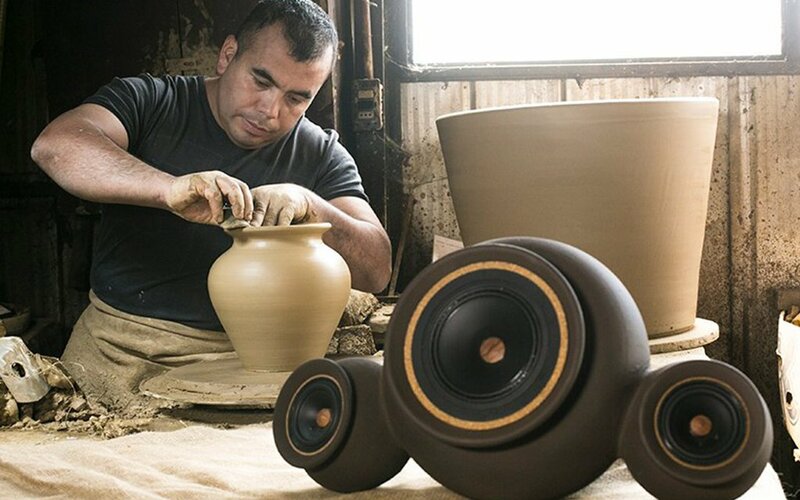 The Berlin-based Documentary Design is working to revitalize ancient pottery traditions in Nacimiento, Chile, a town that watched the industry fall apart just as sawmills came in and started cutting down trees. For each purchase of Mapuguaquén, Documentary Design plants a tree. Not to mention, 80% of the materials used to make the spears are biodegradable. Find more information on ordering yours here; there’s a large variety of early-bird bundles offered on their Kickstarter page, and they’re poised to ship right around Christmastime.